Alaska. Barrow. 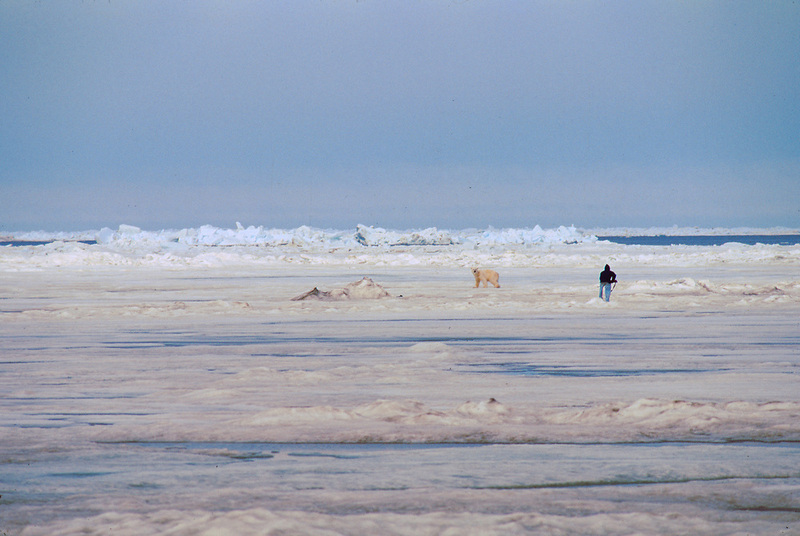 Polar bear and photographer on sea ice in the Chukchi Sea.